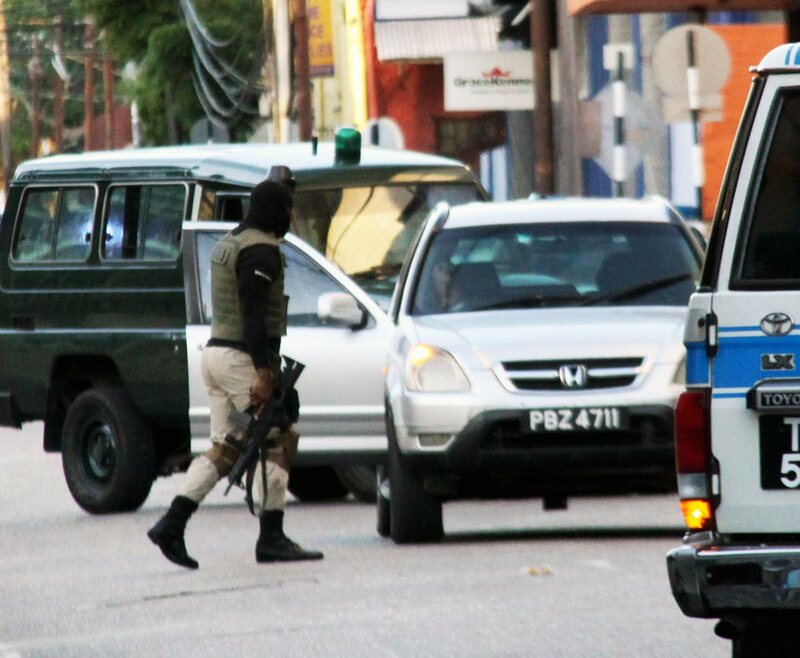 A prison officer was shot dead metres away from the Port of Spain prison this evening, mere days after a video was released showing prison officers beating and kicking inmates who were restrained. Police and senior members of the Prison Service believe there may be a connection between the video and the murder. Davindra Boodooram, 45, of Lopinot, was driving a silver Honda CRV on upper Frederick Street, in front St Mary’s College, when he was shot by a gunman at about 5.10 pm. He died in the vehicle. He was shot once to the head, once to the neck and twice to the chest. Boodooram joined the service 25 years ago. Senior prison officials told Newsday a man wearing a green t-shirt and a cap was seen on CCTV cameras lurking around the prison. Police were called and were on their way to the prison, but Boodooram was killed before they arrived. Nearby streets were locked down in an attempt to capture the killer but he was not found up to press time. Prison Commissioner Gerard Wilson told Newsday he “strongly believes” there is a connection between Boodooram’s death and the video which was released on social media on Tuesday. He expressed condolences to Boodooram’s family and called on prison officers to rededicate themselves to the cause of protecting the nation and treating with prisoners in their ongoing effort to rehabilitate those who have been imprisoned. “Every time an officer falls it is a sad thing for myself and the service. I hope officers would stay strong and continue to be diligent, because it could feel like a thankless job, when prison officers put their lives on the line to protect the nation and something like this happens,” Wilson said. In a statement issued late yesterday evening, National Security Minister Edmund Dillon condemned Boodooram’s killing and expressed condolences to his relatives, friends and colleagues. He said he is mindful of the sacrifices being made on a daily basis by law enforcement personnel who are putting their lives on the line to maintain law and order in the country. After Tuesday’s video, another one began circulating on social media, with a man warning of possible reprisals for the actions of the prison officers. Prison officers locked down the prison the day before Tuesday’s video was released, and conducted a search and seizure exercise in which several inmates were hospitalised in the aftermath. In an earlier report, prison officials told Newsday officers were conducting a “routine exercise” which led to a stand off, resulting in officers having to use force. It was later revealed that they found an undisclosed quantity of marijuana. Wilson told Newsday an investigation into the prison beating was being done. He denounced attacks on both prison officers and inmates. This is the first murder of a prison officer for the year, but the 18th over a 16-year period. Reply to "Prison officer shot dead after leaving work"